Need AC Repair or Service Today? Reliable has more than 4,000 Five Star Reviews and 300 certified technicians on the road. We repair, replace and service air conditioning systems, furnaces, water heaters, generators, and heat pumps. We guarantee 100% Customer Satisfaction! At Reliable we offer Energy Efficient Heating & Cooling Systems, Water Heaters, Tankless Water Heaters & Generators at UNBEATABLE prices. Learn more about our Comfort as a Service program. Our certified cooling technicians are here to help with any AC Repairs, AC Diagnostics and AC Replacement. Get a FREE in-home NO obligation estimate today. 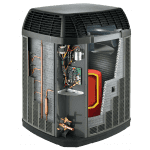 As the nation's #1 Trane dealer, we install and repair furnace and heat pump brands you can trust. Plus, our furnace and heat pump installations come with a lifetime repair and maintenance warranty. For more than 40 years, we've provided quality, reliable plumbing services to the good people of Atlanta with fair and honest pricing. No job is too big or small for our certified plumbers. From lighting installation in a spare bedroom to rewiring your entire home, Reliable Heating & Air electricians have the expertise and tools to tackle your toughest electrical service jobs. Reliable is National Air Duct Cleaners Association (NADCA) certified. This provides our customers with the only recognizable industry standard in the cleaning process. Reliable has dozens of home service coupons including many for HVAC, plumbing and electrical work. Learn more about our many financing options. Whether you need an emergency AC repair or a regular furnace tune-up, Reliable Heating & Air has you covered. We've served Fayetteville families for more then 40 years, offering the strongest products and most reliable service in the area. Our expert Fayetteville technicians will thoroughly inspect your heating & air conditioning system to find the problem, and provide the best repair or replacement options for your home. Need an emergency AC repair? With summers that can get above 90 degrees, you'll need a company that can fix your system ASAP. 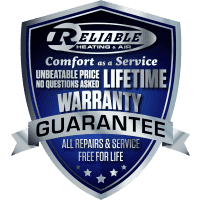 At Reliable, our Fayetteville techs will promptly arrive at your home, figure out the problem and fix your air conditioner to make your home comfortable again. Your furnace is bound to break down when you need it most. 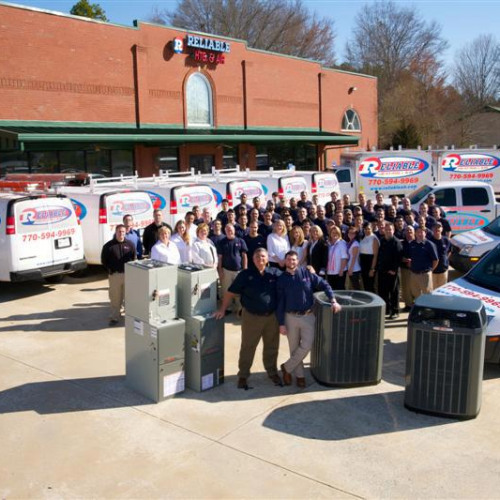 With over 300 technicians and 200 trucks on the road, we'll get to your Fayetteville home fast to repair, replace or service your heating system. Plus, you'll get the 5-star service we've been giving customers for more than 40 years. We're the nation’s #1 Trane dealer, but also service reliable brands like Lennox, Carrier, Goodman, American Standard, Daikin and more. If you need an emergency heating or cooling repair, call Reliable Heating & Air today and ask how to get $25 off your service. Reliable Heating & Air offers more finance options than any other Fayetteville HVAC company, including our Comfort as a Service program. Unlike other home warranties, this service makes maintaining your HVAC system easy and hassle free. We're the nation's #1 Trane dealer. We have an unbeatable warranty. We offer more coupons than any other home service company. We pass along the BEST pricing to our customers. With over 200 trucks and 300 technicians, we can get to you fast. We never charge extra for after-hour or late-nite service. Ready for reliable service in Fayetteville?